I've got a bit of a record going when it comes to producing decent birds whenever my parents come to visit. Glossy Ibis, Woodchat Shrike and parading Bitterns have all helped add to the mystique that in reality comes down to nothing more than damn good timing on their part. 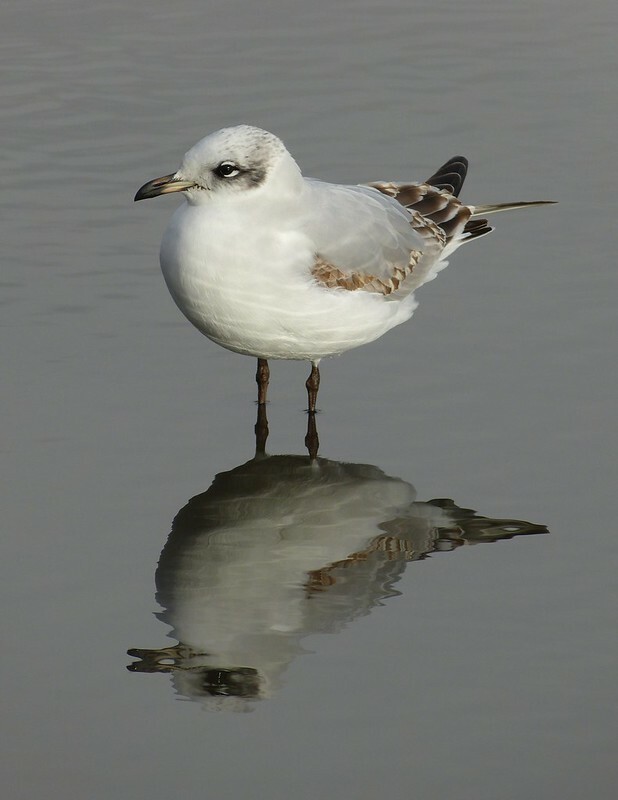 One species though I am able to provide almost on demand, and that is the Mediterranean Gull. Regular readers will have seen the flock at Bracelet Bay featured on here numerous times previously and I make no apologies for doing so again. This time however I hope you'll agree that weather conditions and a flooded car park have combined to produce something a little less ordinary. The young bird in the majority of these photos was easily my tamest Med to date and allowed both my dad and I to approach within a couple of meters. It was perfectly happy to paddle around and preen while we both tried out different angles and camera settings. The surrounding area held at least another ten individuals, one of which was ringed but flew off before I'd had a chance to read it. I guess that means I've got a perfect excuse to go back again in the near future (as if I needed one). Super pics of a species I don't see very often. Wow, these are great! I love the ones with the reflections. 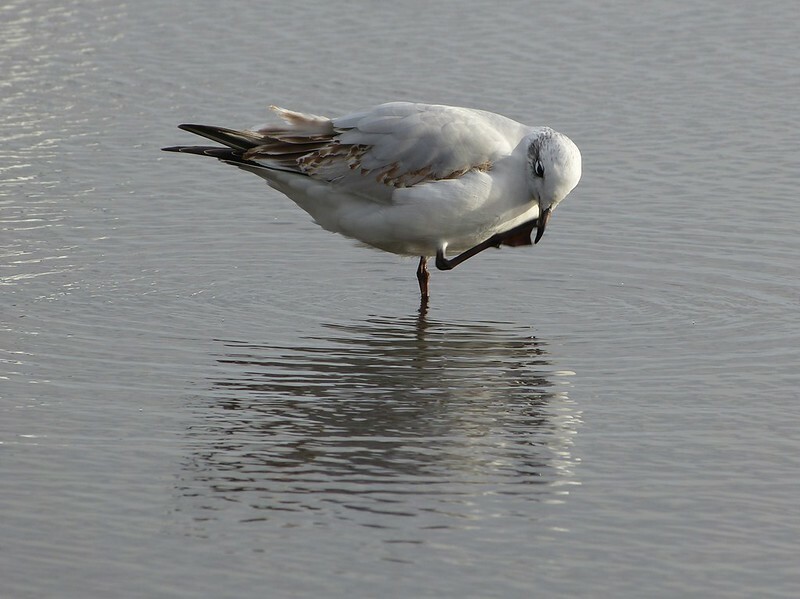 Great photos of the birds - the young one is especially beautiful with the reflection in the water. Really nice images and reflections. Nice looking gulls! Stopping by from Wild Bird Wednesday. These are absolutely lovely images! Superb shots Adam. Like you say, if only every bird would be so cooperative in moving about and let us try different exposures and camera angles. 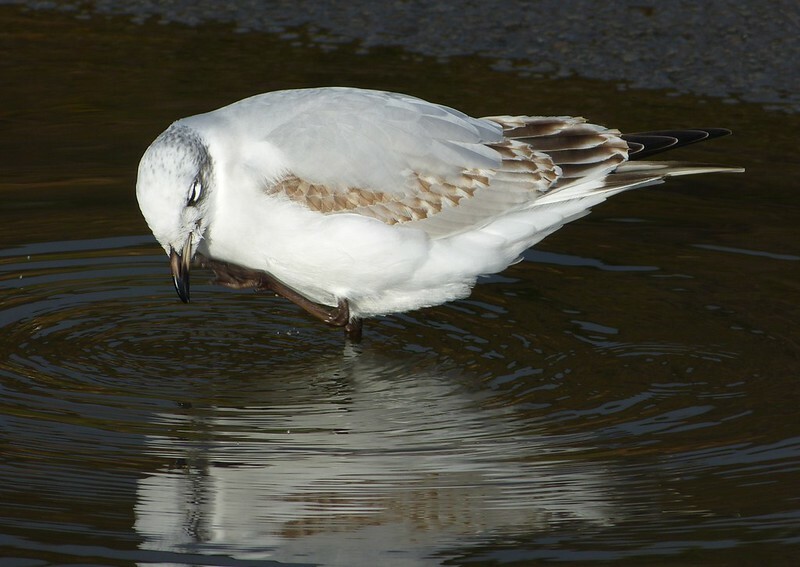 Beautiful shots of the gulls! Great set of pictures - I used to see this species in the winter in Newcastle - but it does not get to Australia! I had to check that the Australian and UK Moorhens were actually different species - which they are. I'd like to see them side by side to be able to see how much different there is. 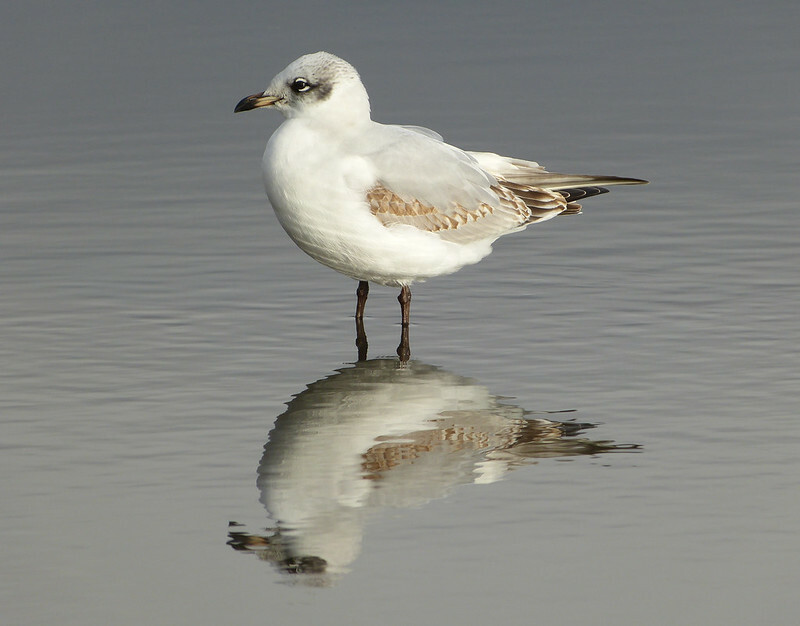 Great intimate views of the gulls, and so crisp and clear! Nicely done.